The Mason Group is a proud supporter of JDRF, a global leader in the search for an end to type 1 diabetes (T1D). 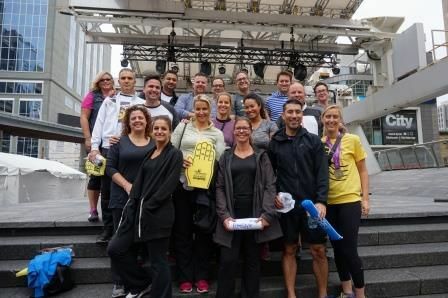 We want to give a big shout out to everyone who participated in the JDRF Revolution Ride to Defeat Diabetes on September 30, 2016 at Yonge-Dundas Square in Toronto. 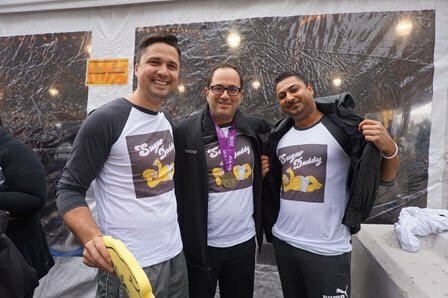 Together our team raised a whopping $10.5K! For over 40 years, JDRF has been a global leader in the search for an end to T1D, through both research funding and advocacy. During that time, they have always talked about a cure as a singular destination: a return to normal physiology. But today, they realize that they are engaged in a process of curing T1D – that a cure is not just a destination but also a journey along a path. And they recognize that a part of their mission must be to help those living with T1D today to live healthier, easier, and safer lives until they arrive at the end of that path.